As a business owner, blogger creative or social media influencer, you wake up knowing that your audience is waiting over coffee for something spectacular to show up in their newsfeed. You scroll through old images hoping to come across something enticing enough to post or scurry to snap a quick photo of your breakfast or whereabouts to create some sort of conversation. It's happened to me and I'm a photographer! So I woke up one day and decided, enough is enough and created Social Subscribe! 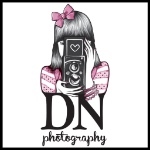 This DNP exclusive offers a once a month subscription that will leave you with a collection of images each month to post freely and more importantly is specific to your brand! It's time to stop paying for stock images that only, sort of, represent your brand. It's time to stop setting up your iphone or camera on a timer with "that will do" photos. It's time to stop stressing about "National Doughnut Day is today and I have no photos!" Contact me for more information and let's get you all set up with some wonderful images that are personal to you, your brand and your image! Each session will come complete with a month to month guide of what we'll shoot. DNP will meet with each client as we create a game plan for each upcoming month's sessions. We'll cover everything from brand necessities to holidays and observance days and even collaborations with local Tampa companies. Being a beautiful mama of her sweet babies, Sophia, Penelope, Rockwell, they have become the poster image of all things family! We started her series with a collection of images that got her up to date with local businesses, new blogs and even some dreaded draft blogs that she just didn't have images to go with. The following months we are continuing her content with fresh, focused and professional images as she works with big name companies for products, clothes and more. Ironically I met Sunny Culture on a perfectly sunny day at the beautiful Armature Works as I sipped a sample of their delicious, probiotic drink. The fizzy and flavorful drink moved me to collaborate with them before I could even get my hands on a second flavor! The rest was history! Owners, Patrick and Rany, immediately became clients of mine and after a few phone calls and meetings we finally set a game plan in action! If you're looking for a restaurant with an amazing ambiance, experience and the best steak to date, look no further. Malio's Prime is a downtown staple that has been serving Tampa the finest dining experience for over 35 years. Capturing the ambiance, elegance and deliciousness of this company has been such a pleasure! From dining rooms, private rooms, dishes and drinks, each month Malio's is staying up to date with their website and social media cues. CHECK OUT SOME GREAT ITALIAN, CUBAN AND SPANISH DISHES HERE THAT WILL HAVE YOU LICKING THE PLATE! THE BEST NURSERY IN THE TAMPA AND SURROUNDING AREAS WITH A WEBSITE COMING SOON, FRESH WITH DNP PHOTOS YOU DON'T WANT TO MISS! ALL THINGS NUTRITION, BEAUTY AND SKIN CARE IN A CHEMICAL FREE DELIVERY, JACQUI IS YOUR GIRL. SHE WILL BE OFFERING SOME GREAT PERSONAL TOUCHES TO HER SALES AS SHE SHOWS THE TRUE POTENTIAL OF THIS BUSINESS!